The Manufacturing Execution Systems market has always been fragmented by industry and technology. A Magic Quadrant cannot do justice to the nuanced differences, so in conjunction with the release of the Magic Quadrant for Manufacturing Execution Systems, there will be six industry specific context documents. These documents focus on the unique challenges in the industry, and feature MES vendors not found in the Magic Quadrant document. This document, the final document of the six, covers Industrial (discrete) manufacturing and high-tech/electronics manufacturing. There are myriad software vendors that offer industrial or high-tech/electronics MES solutions that serve the discrete industrial marketplace. Even in that space, there are individual specialties that require unique capabilities and, in turn, vendors that support those unique capabilities. 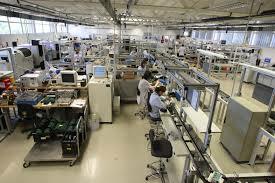 Specializations in the industrial and high-tech/electronics world include semiconductor manufacturing capability, plastic injection molding, management and control of production tooling, box build, electronic work instruction management, and technology-related lean manufacturing. Vendors profiled range from mid-market ERP providers, multi-tenant cloud MES providers, industry domain specific solution providers and vendors that specialize in unique capabilities for specific processes in the manufacturing value chain. More here. It’s 2018, Do You Know Where Your Digital Manufacturing Is?